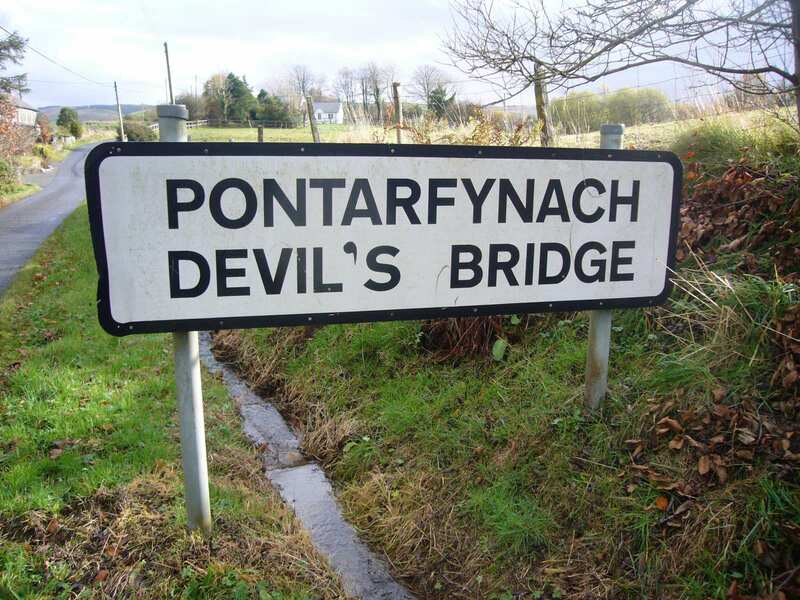 Devil’s Bridge / Pontarfynach is a village known globally for its stunning waterfalls at the confluence of the Afon Rhiedol with the Mynach river, flowing down through the Vale of Rheidol. The bridge gets its English name from the tale of a wily old Welsh woman outwitting the Devil. The village also featured heavily in the first episode of Y Gwyll / Hinterland, a police drama in the vein of The Killing. Set in and around Aberystwyth, the show made use of the waterfalls, the beach at Borth and the Aberystwyth promenade as key locations. The waterfalls where the river Mynach joins with the Rheidol have a strong claim as the most spectacular in Wales, if not the UK. There are two major walks available to view them. The Punchbowl, at the top of the falls, is a short stepped walk to view the pot holes carved out by the Mynach, and offer a good view of the bridges. The other, longer walk takes you all the way down to the small bridge at the foot of the falls, via a steep stone staircase known as Jacob’s Ladder. At the base of the falls, the view upward is stunning. Both walks are challenging, and not advisable for young children, or anybody with mobility issues. Lots more about the falls, including opening times and admission information can be found by clicking here. From the Punchbowl and the waterfalls walk you can see all three of the bridges that span the top of the falls. Built on top of each other, the lowest dates from the 11th century and was used as support for the next bridge, built in the 18th century. Finally, when that bridge was considered to be weakening, the existing iron road bridge was built in 1901. The Vale of Rheidol steam railway was originally completed in 1902, used to transport ore from local lead mines to Aberystwuth for shipping. It only lasted a few decades in this purpose, but passenger services continued, and today a charitable trust runs the line as a tourist attraction. 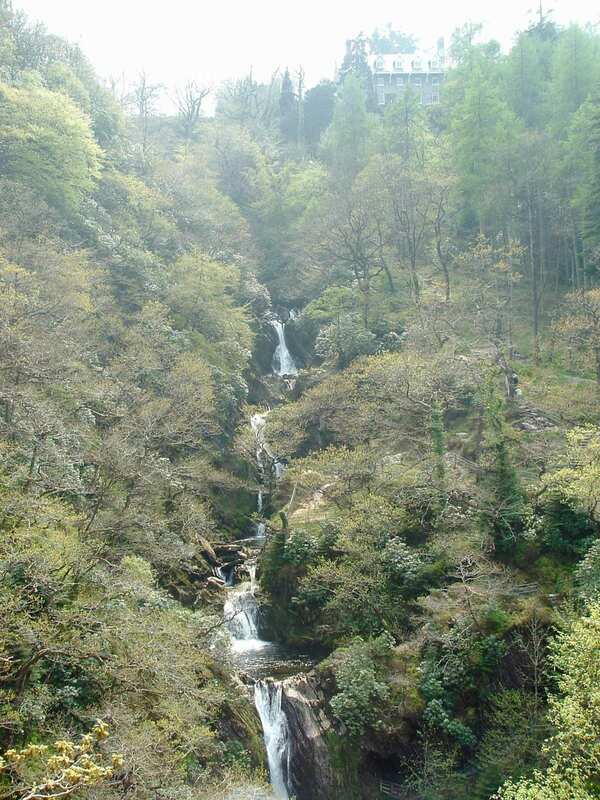 Return services depart from Aberystwyth twice a day in high season, giving travellers a chance to walk down to the waterfalls before returning to the coast. 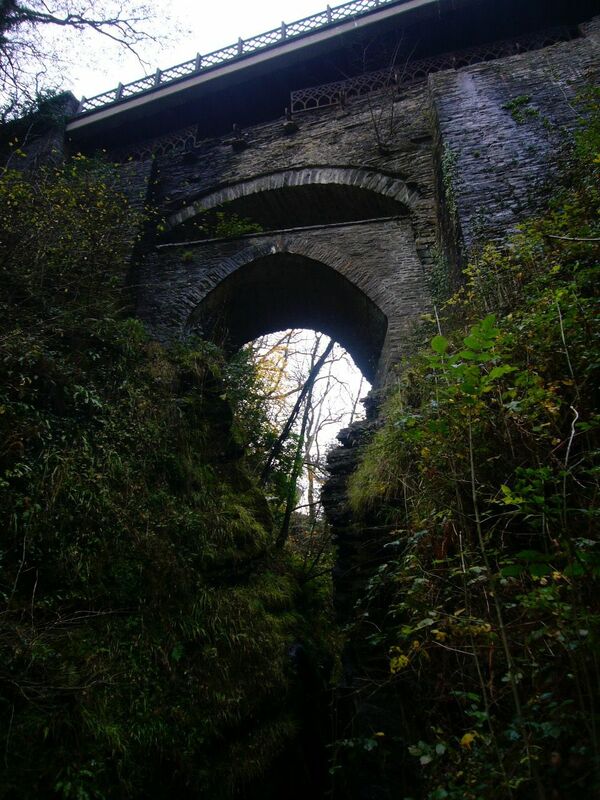 It is possible to ride the train starting in Devil’s Bridge, with a slightly narrower window to stretch your legs in Aberystwyth! You can find much more information, including ticket prices and timetables, by clicking here. You can straight to booking tickets here. 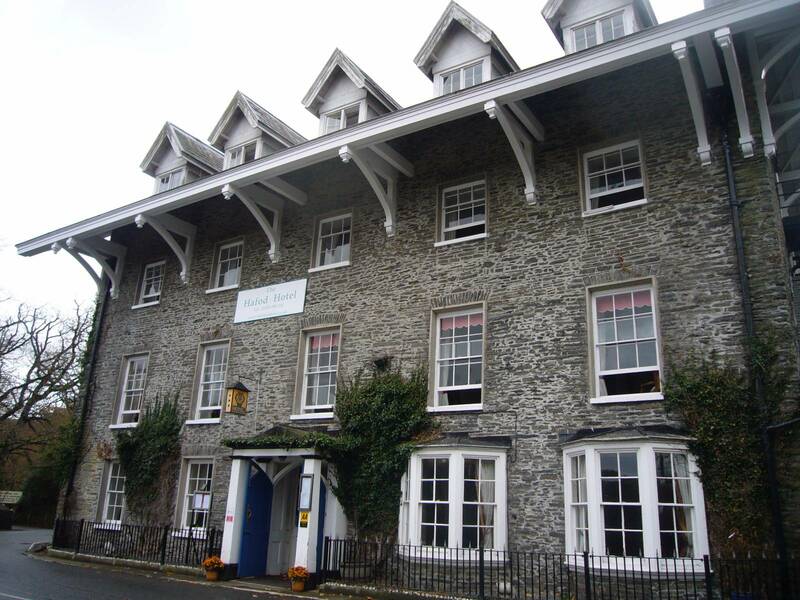 The Hafod Arms Hotel was originally built as a hunting lodge on the Hafod Estate in the early eighteenth century. Expanded and adapted over the years, it has become a focal point for visitors to the falls, providing refreshments in its tearoom and bar, and more substantial meals in its restaurant. Across the road is a spectacular view of the Rheidol valley. Immediately around the village there are a number of beautiful walks up to the hills above. Nearby is also the Hafod Uchtryd, a woodland estate adjoining Devil’s Bridge, Cymystwyth and Pont-rhyd-y-groes. Linking the villages is the B4574, described by the AA as one of the top ten most scenic drives in the world! Within the estate are a number of well signposted walks graded by length and ease, with easy parking. More information can be found by clicking here.